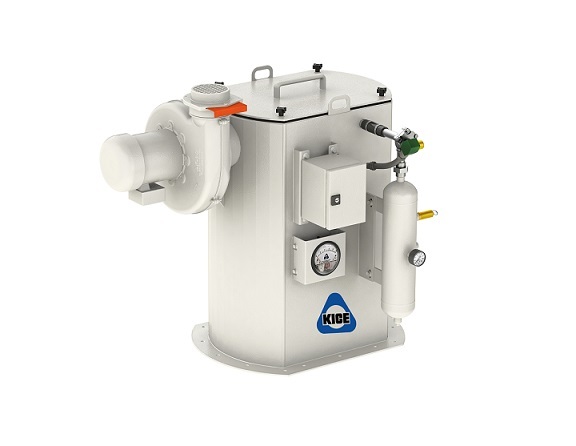 Kice Industries introduces a new compact filter for direct mounting to bins, drags, legs, and other equipment where access or mounting options are limited. The tool-free cartridge replacement feature will minimize maintenance and down-time for users. The new filter is available in carbon or stainless steel to meet specific application requirements. “We also have some accessories such as mounted transitions and a mounted starter for a fan available to users with this new filter,” said Forrester.